M+B is pleased to present the debut exhibition of color photographs by thirty-year-old artist Jehad Nga. Arresting and poetic, Nga's photographs of Somali and Kenyan café patrons offer a rare and personal look at those ravaged by years of drought and poverty. Using only a single ray of sun beaming through the café doorway, Nga's photographs highlight the individuals themselves by naturally removing them from their surroundings. The hardened and weathered faces of the old are revealed, in contrast with the fear, but glimmer of hope found in the eyes of the young. Over the past four years, Jehad Nga's assignments have found him covering stories in Somalia, Kenya, Iraq, Liberia, Libya, Darfur, Ethiopia and Iran. His work continuously appears in such respected publications as the New York Times, The Los Angeles Times, TIME Magazine and Forbes, among others. 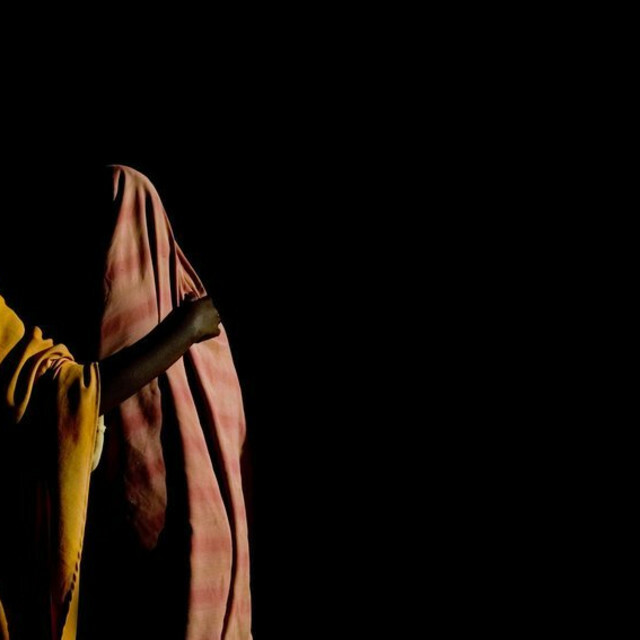 In 2005, Nga was awarded the Picture of the Year International Award (POYI) for his coverage of the Darfurian war and Chadian refugee crisis. He received it again in 2006 for his coverage of Operation Steel Curtin Iraq. In 2005, Nga also received first, second and third places from the Chinese International Press Photographers for his coverage in Uganda, Chad and Darfur, as well as the "Top 30 Under 30" award by Photo District News. This will be Nga's first show at M+B.